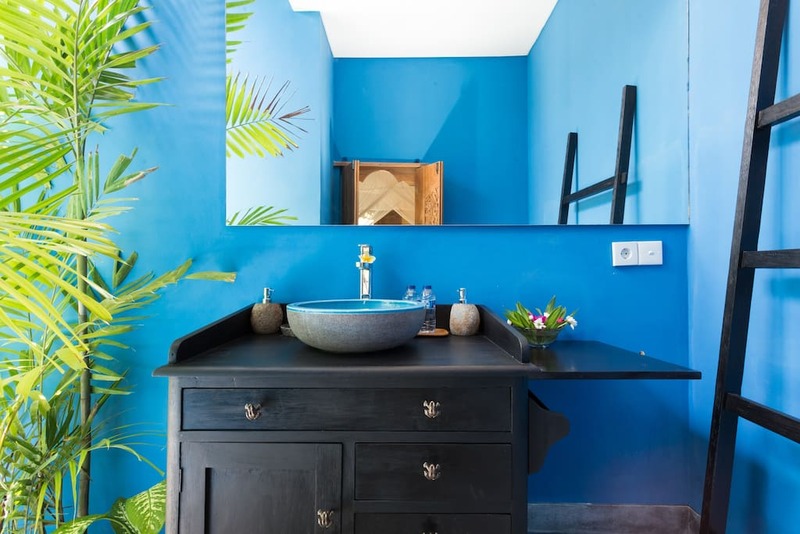 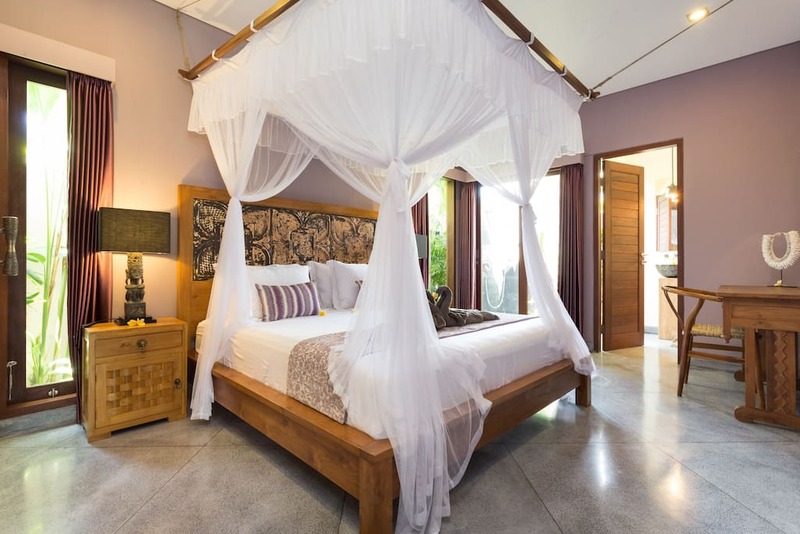 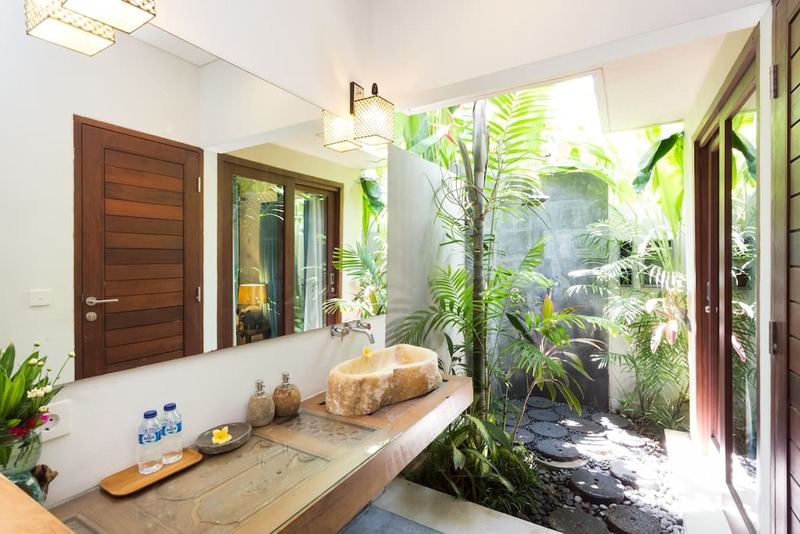 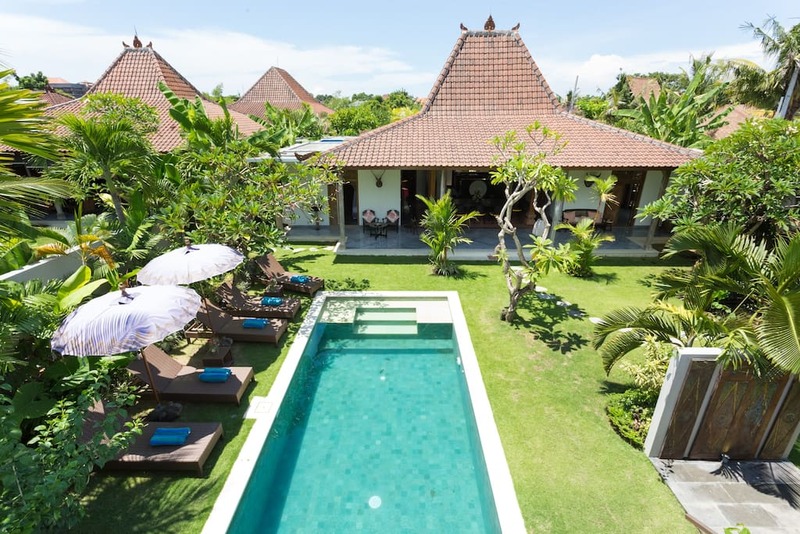 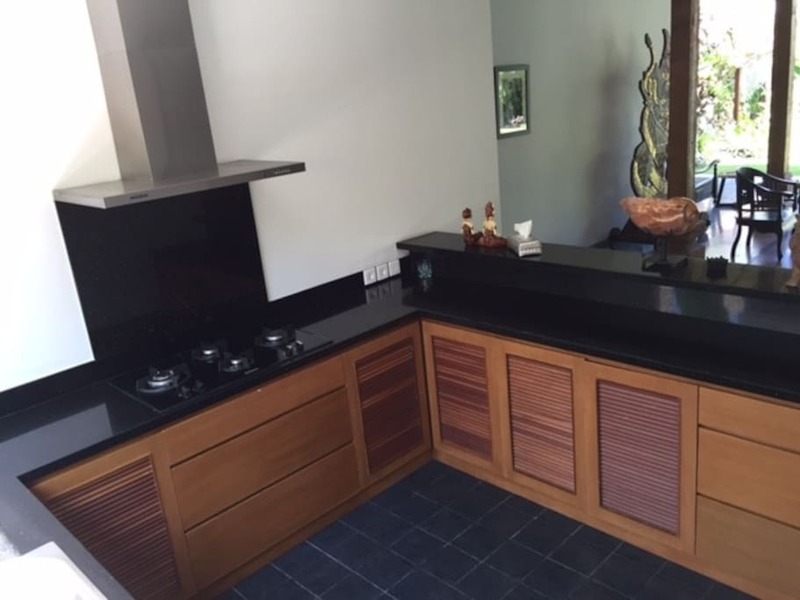 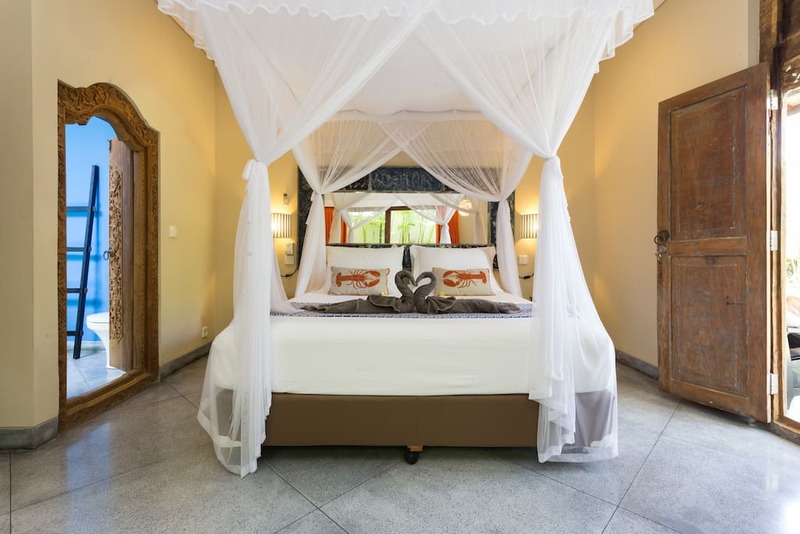 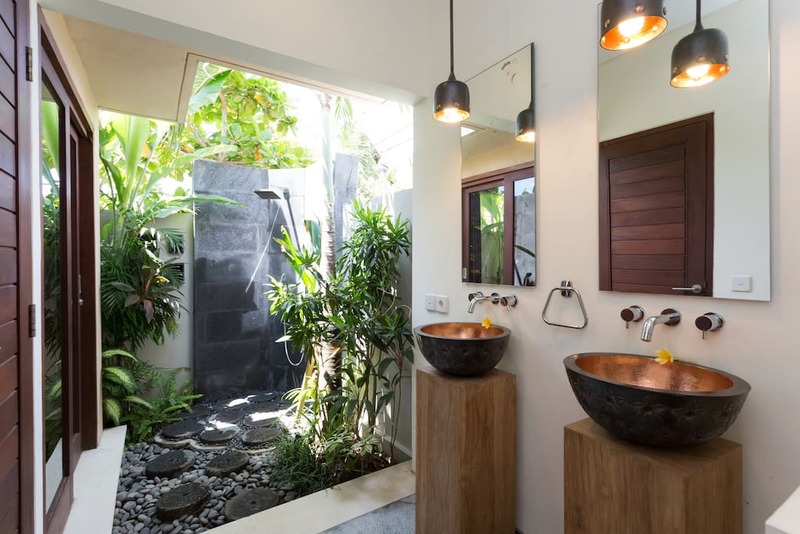 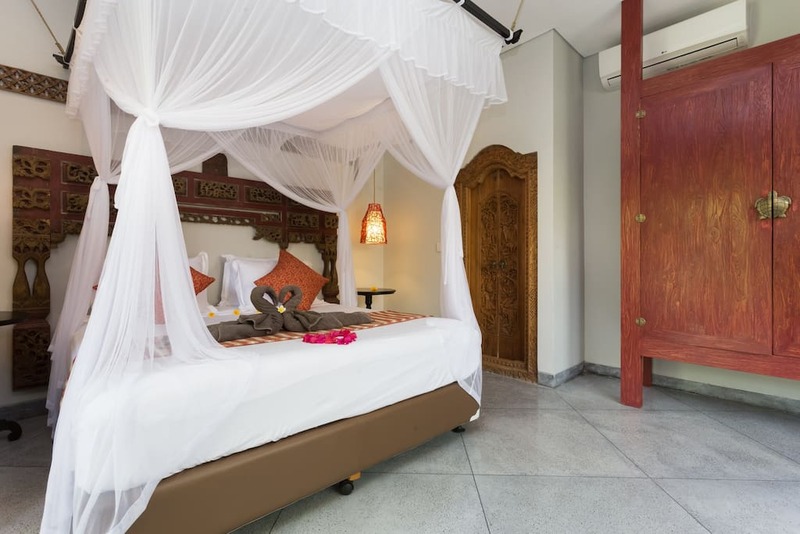 Villa Kuda Jaya offers offers modern comfort within a natural and quiet setting, in the peaceful village of Umalas. 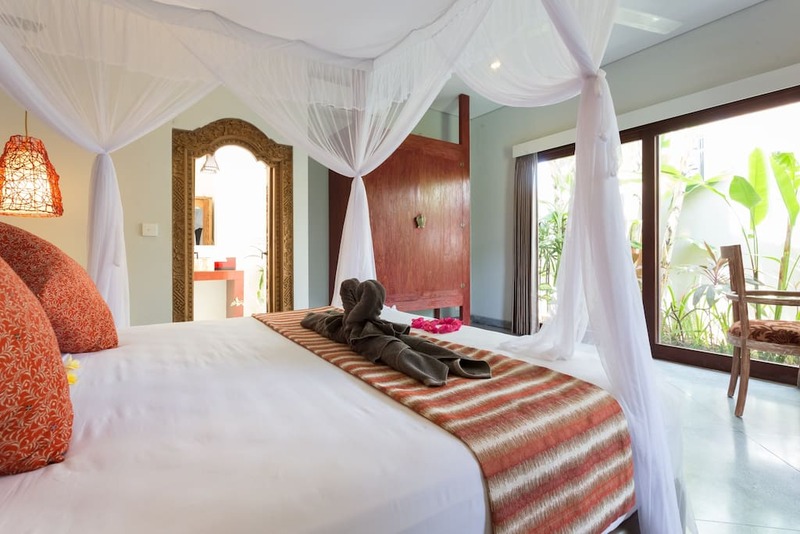 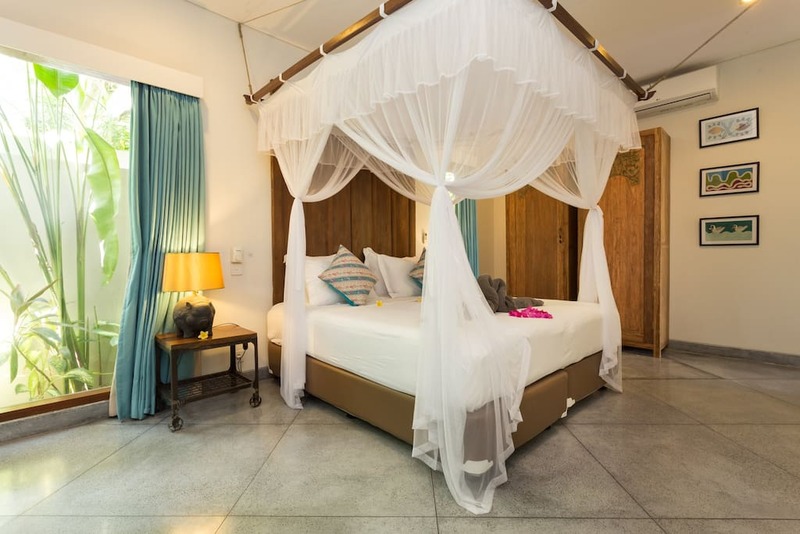 The property features four tastefully decorated bedrooms, all coming wtih aircon and bathroom, a bale (shelter) where you can rest, a TV and a bar room. 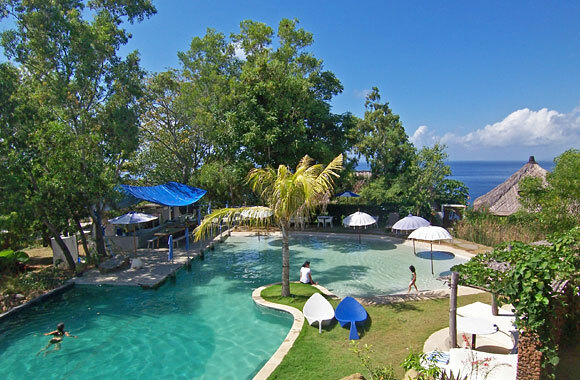 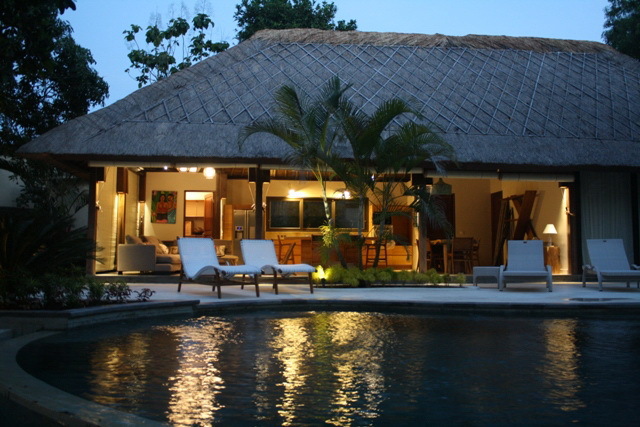 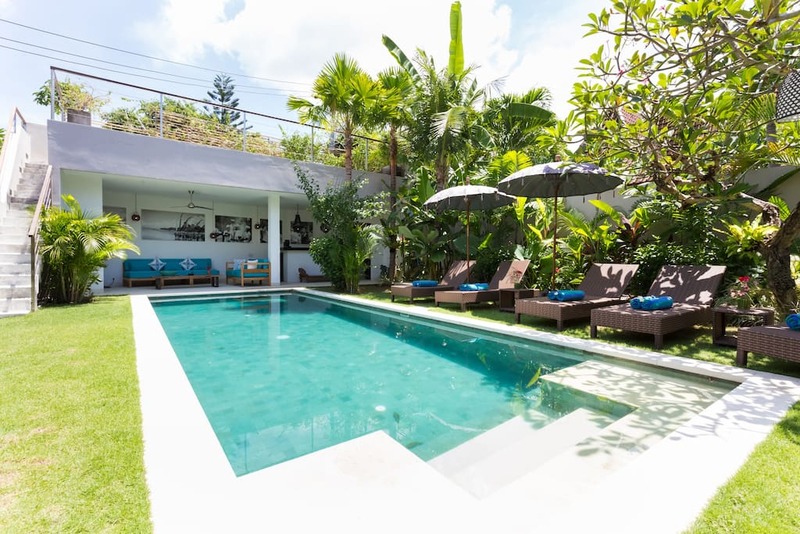 The villa can accommodate 8 people who will enjoy a wide and green garden with pool. 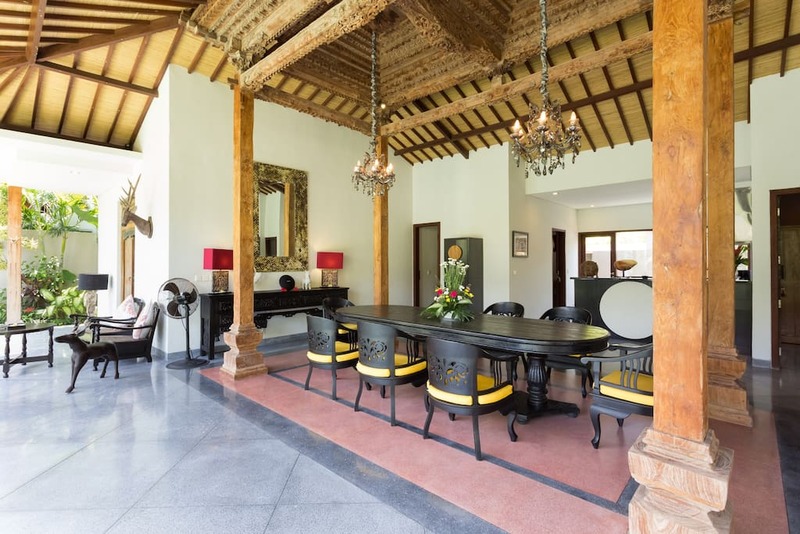 Villa Kuda Jaya combines high ceilings and open spaces to ensure natural ventilation and brightness during the day. 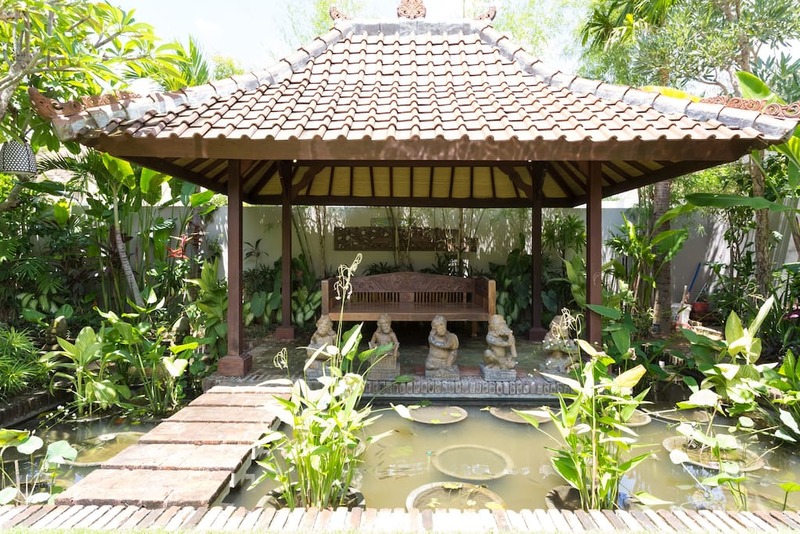 The main building is a traditional teak Javanese joglo, beautifully carved according to ancestral knowledge. 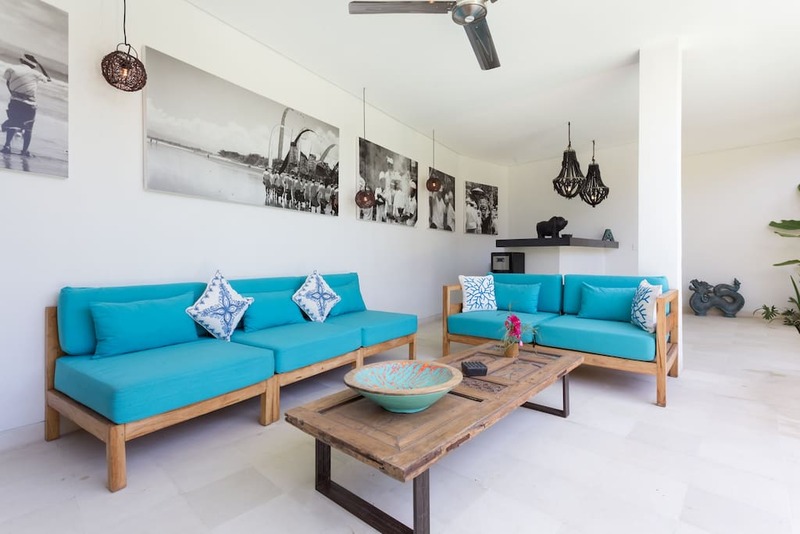 The four separate bedrooms and their ensuite bathrooms provide privacy while everyone can gather in the central living room facing the garden and pool.